I unsubscribed from the Today, but would like to subscribe again. How do I do that? If you would like to start receiving the Today Devotional again, click here to resubscribe. 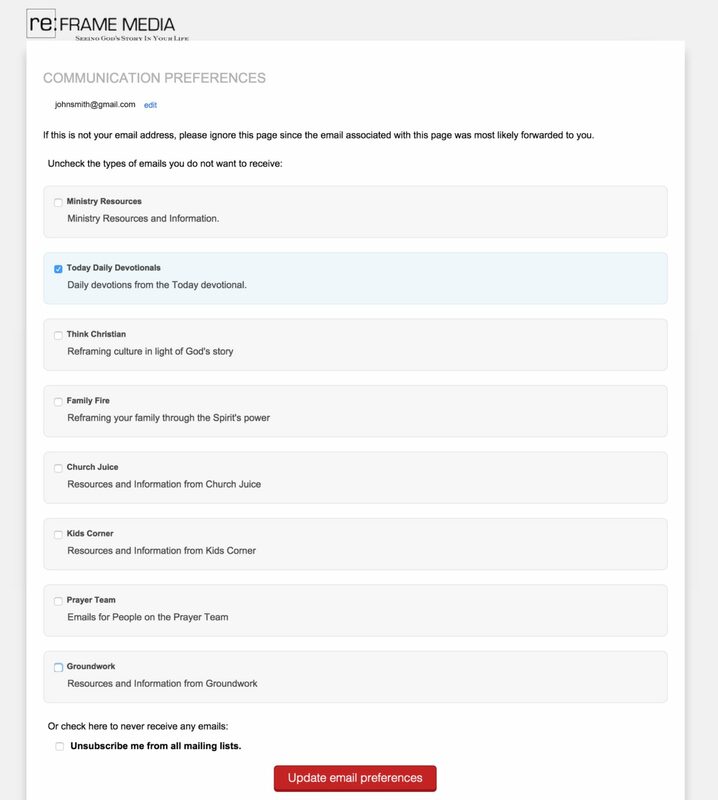 Make sure you have the "Today Daily Devotionals" check box checked. Then scroll down to the bottom of the page and click the "Update Preferences" button. 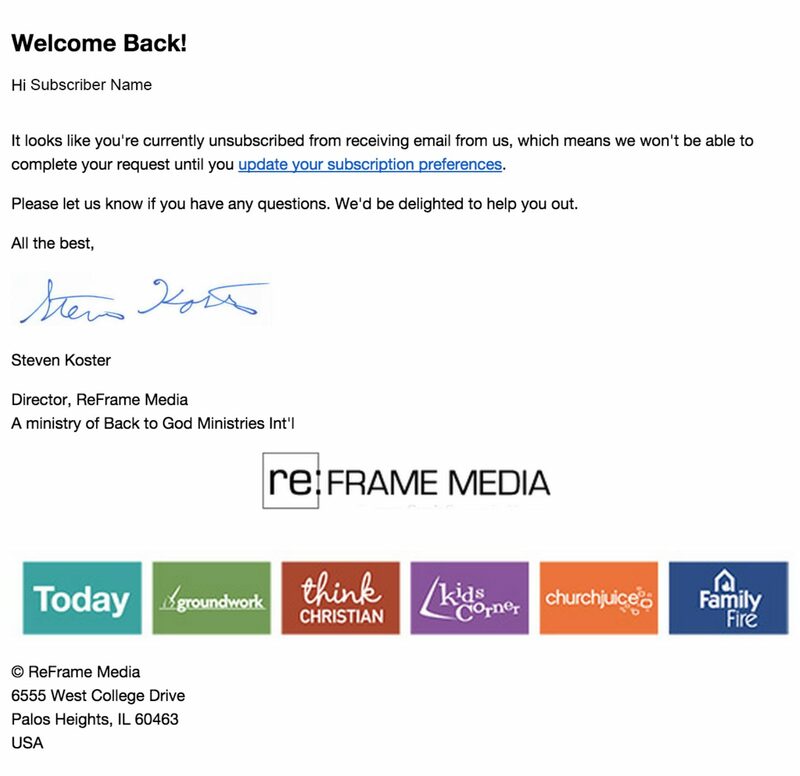 (If you would like to subscribe to other programs from ReFrame Media make sure those checkboxes are also checked. You should start receiving your Today Devotional again. If your email does not arrive the next day, please contact us.